This project is another one of mine and Aleisha’s virtual collaborations. See, even if it’s just my name at the bottom of these tutorials, chances are Aleisha had a lot of creative influence on the project. 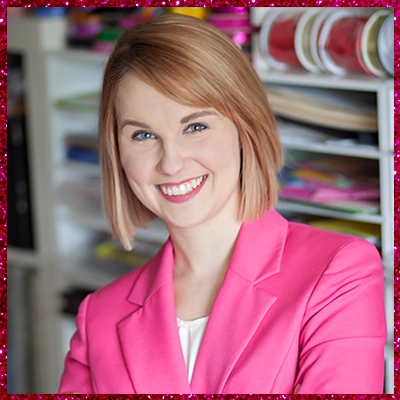 She’s an endless source of crafty ideas! 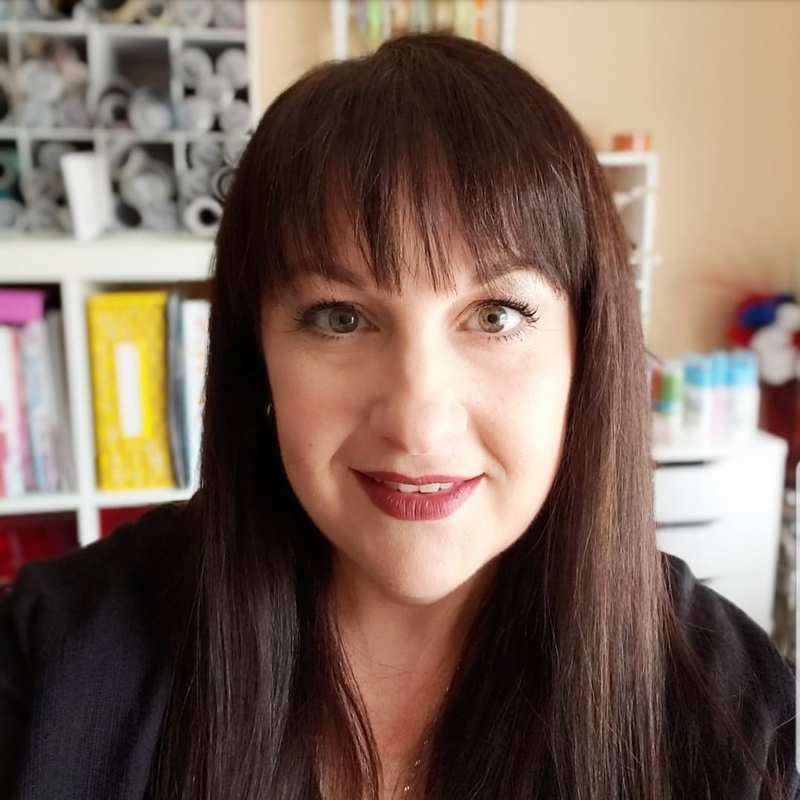 So when I was coming up with the idea for this month’s Pinterest challenge, I was digging through my bin of Christmas craft supplies over video chat with Aleisha. 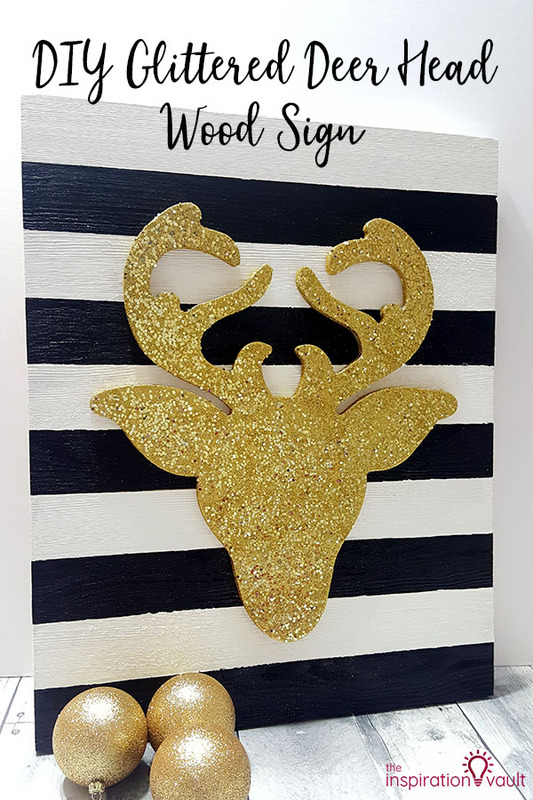 She saw the wooden deer piece I used for this DIY Glittered Deer Head Wood Sign and instantly remembered a pin she saw from Hey Lauren Rene that would work perfectly with it. She was so right! 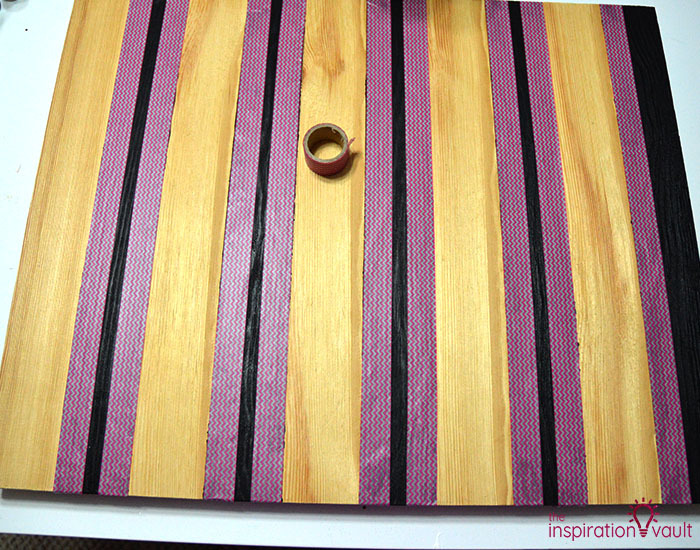 Of course, I had to make it my own so I just switched up the materials a bit. 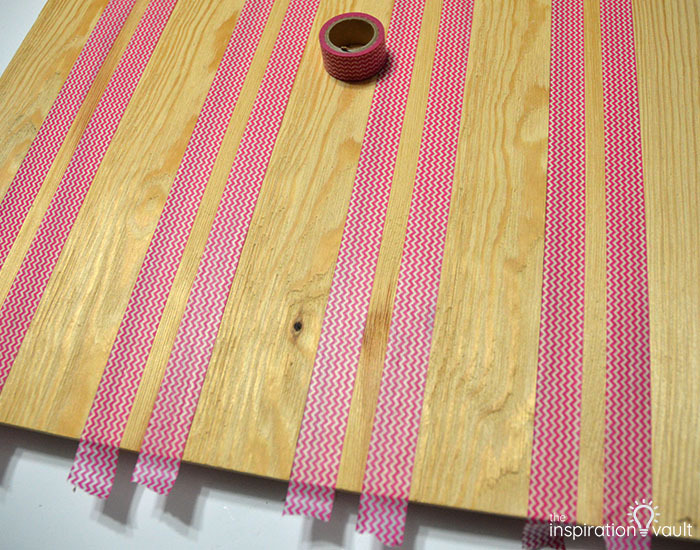 1: Tape off every other section of the wood sign with masking tape. 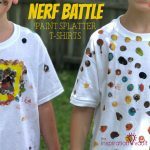 You don’t have to do this, but I know me and I know I’d get paint everywhere. I, of course, couldn’t find my masking tape, so I subbed in some washi tape since it’s essentially fancy printed masking tape. 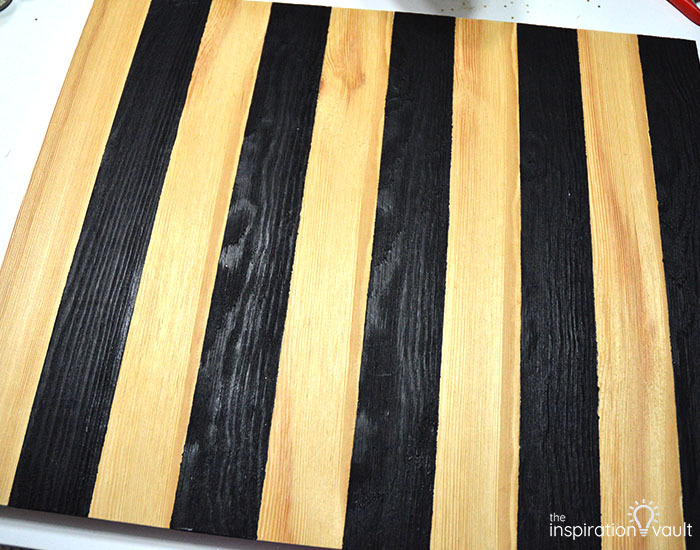 2: Paint the open areas with the black paint. I painted one coat total. 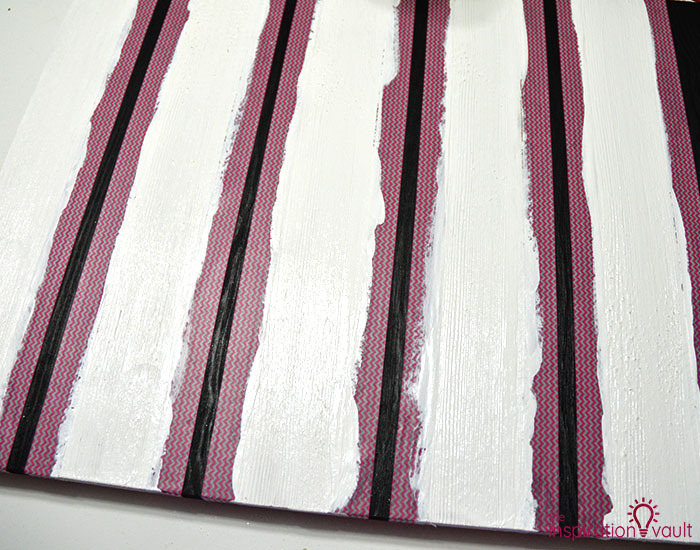 Let this paint dry completely before Step 3. 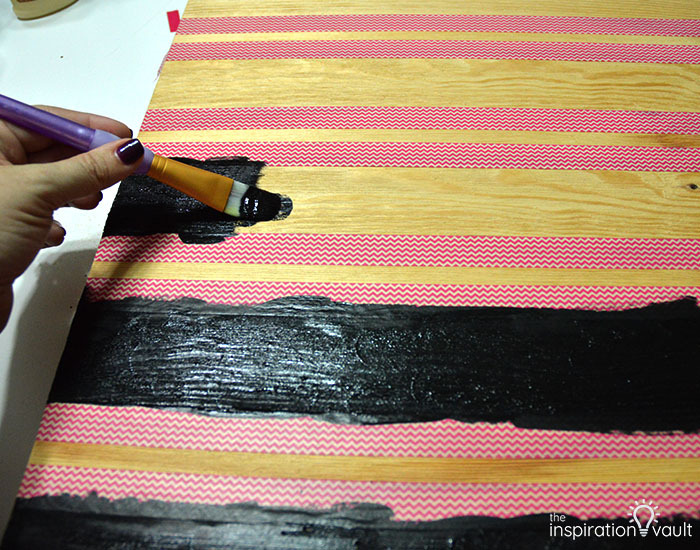 3: Now tape off the lines you painted black. 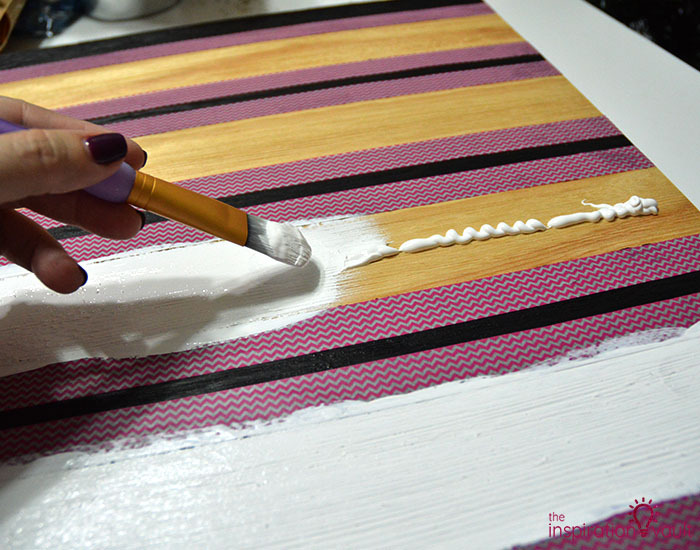 Paint the open areas with the white paint and let that dry completely. I painted 1 coat. 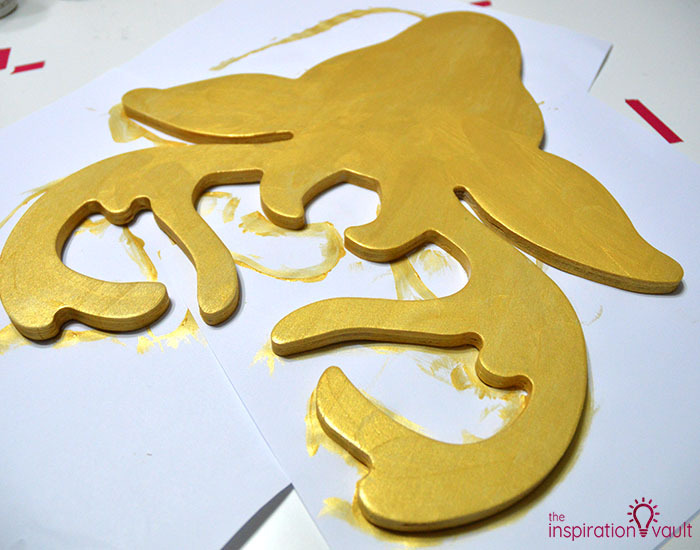 4: Paint one coat of gold on the deer head on the front and sides only. 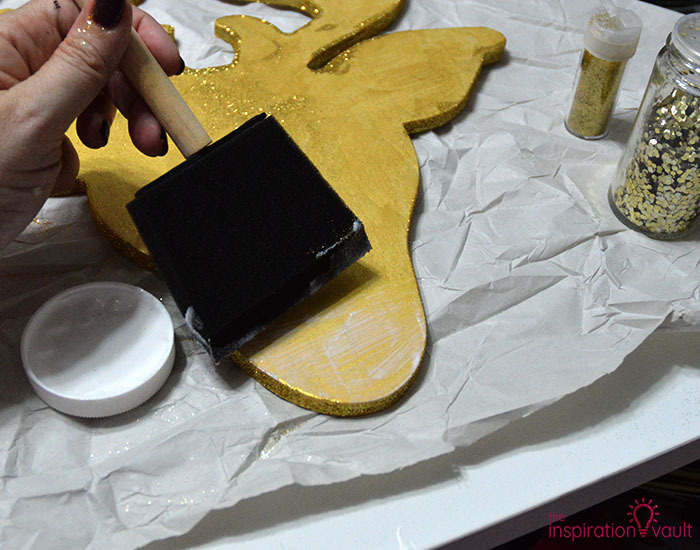 Let that dry completely before moving on to the glitter. 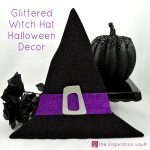 5: For the deer head, I glittered it in sections as I did for my Glittered Witch Hat. 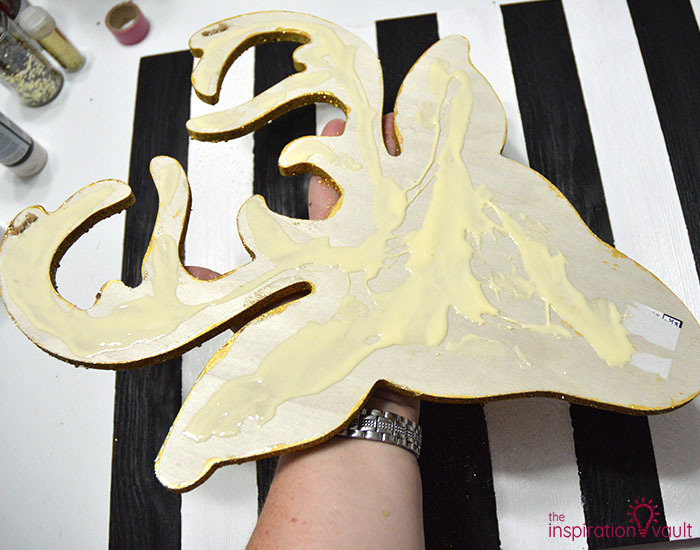 Apply Mod Podge to a small area and then pour glitter over that area. I usually do this over a larger piece of paper so I can capture and reuse any of the loose glitter. 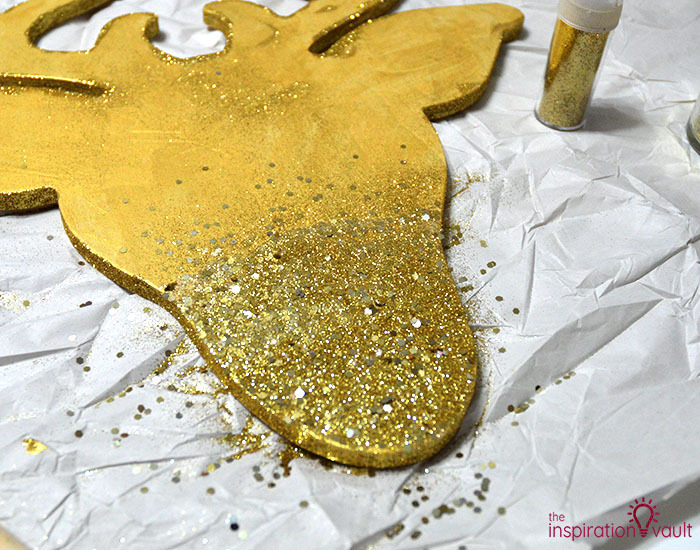 I used fine and chunky glitter to give it an extra glittery boost. 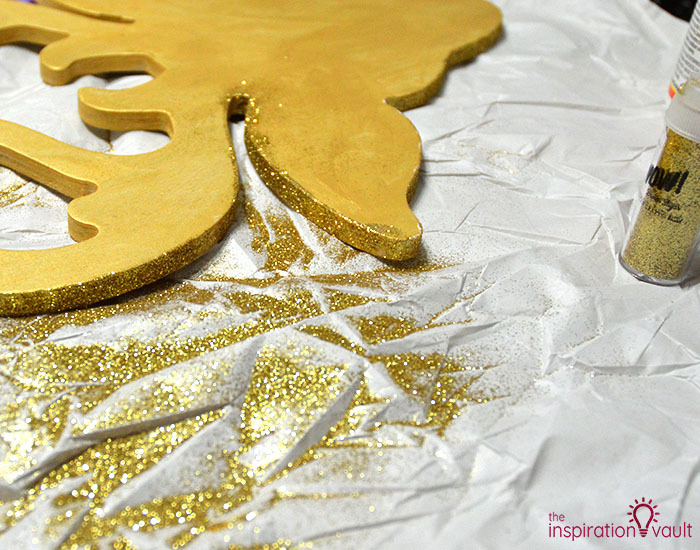 If you do this, apply the chunky glitter first then fill in the gaps with the fine glitter. Repeat this until the entire front and sides are covered in glitter. 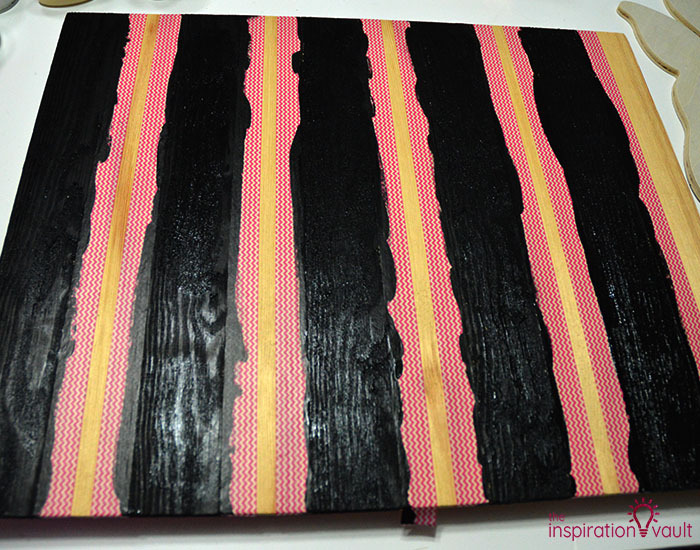 Let the decoupage dry and set for at least an hour. I will be finding glitter on me for weeks after this, lol. 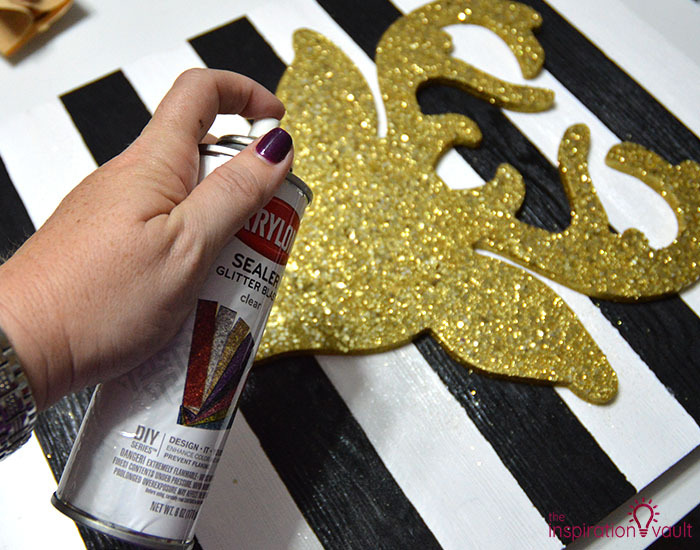 7: Brush off any stray glitter from the background then spray the sealer evenly over the entire piece, but pay special attention to the glittered areas. 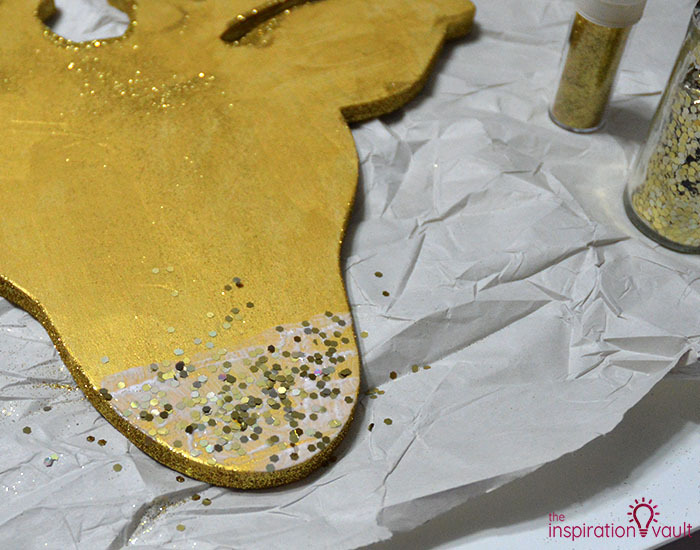 The spray will help seal the glitter in. 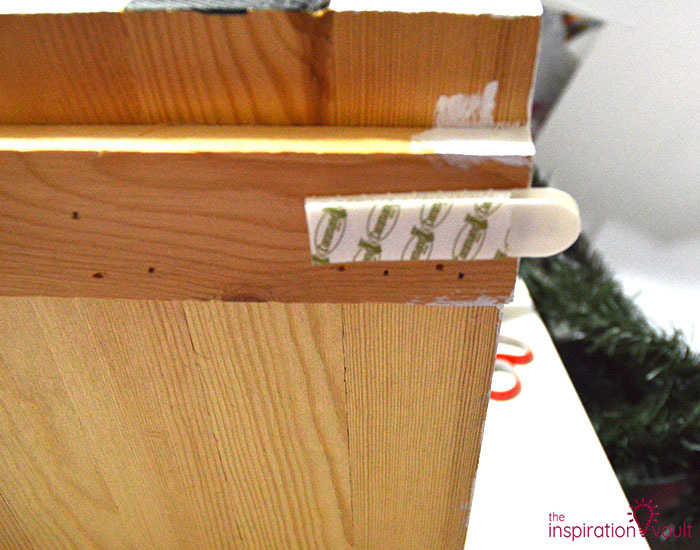 You could also apply another coat of Mod Podge, but I find this spray holds it in better. 8: If your wood sign didn’t come with hangers preinstalled, you’ll need to add some or just use some Command Strips like me. That’s it! 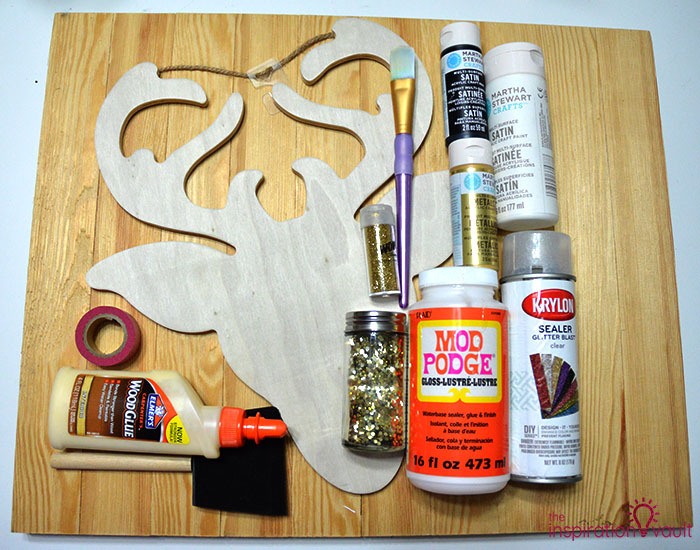 This DIY Glittered Deer Head Wood Sign is incredibly easy to make considering how nice the final product turned out. The original project used a canvas, and you could, too, but I was concerned it might sag with the weight of the wood deer head. Of course, hers didn’t use one, so that’s another option for you. 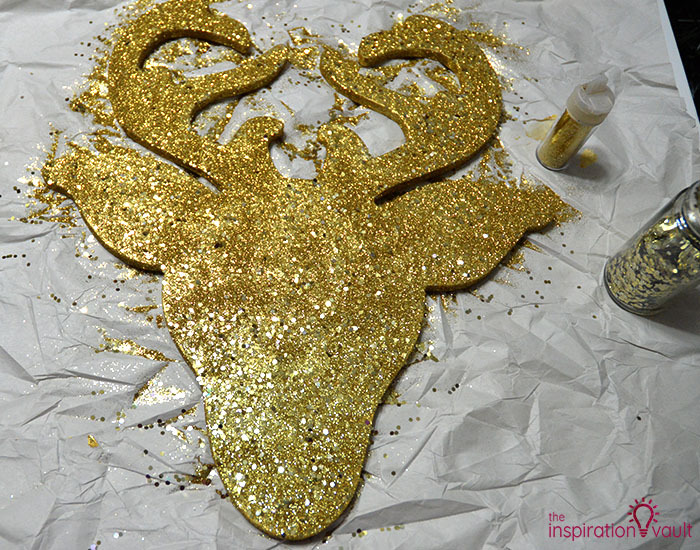 You could also make the deer head silver instead of gold, a different animal shape, or use a different background like buffalo check or another pattern. 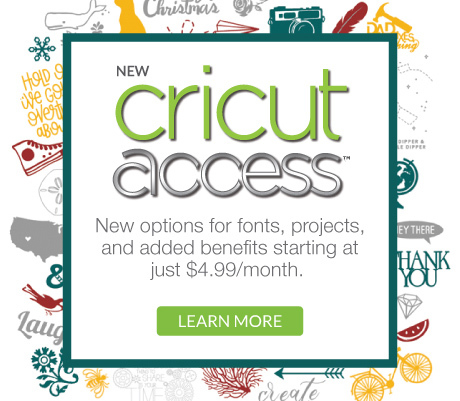 The basic premise is great though: put a sparkly silhouette against a bold pattern. 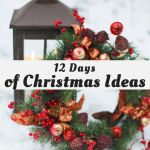 If you’re obsessed with all things holiday signs, you have to see all the different festive projects the feature over at All Free Christmas Crafts. 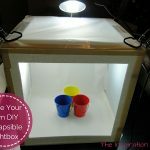 I just love to scroll through their site for crafty Holiday ideas. 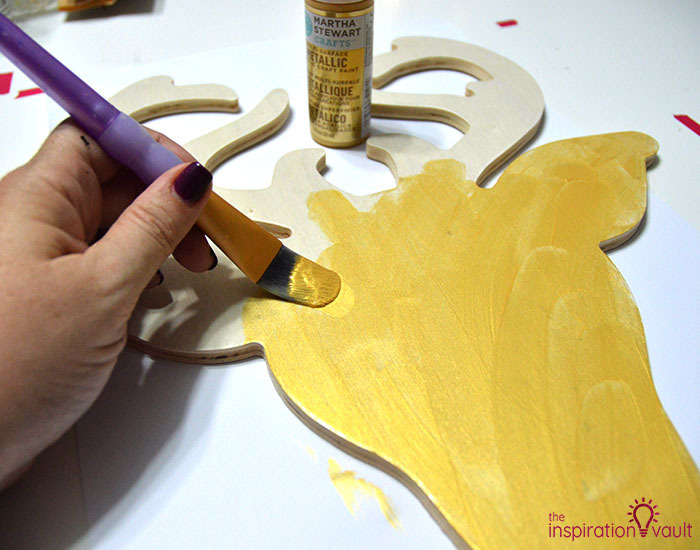 Very cool craft – sort of a cross between Deer and Christmas season – hey we can use it for both! Love this for festive Holiday decor! Pinning! I love this cute idea. It’s so festive and pretty! Happy holidays! This is really so cute. I was thinking of doing something with a reindeer head for my house this Christmas, this might be it. 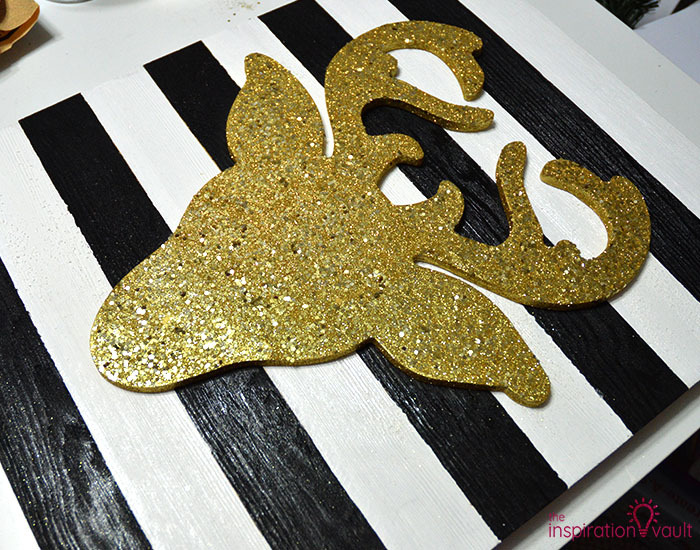 I love the glamorous, glittery look of the deer head. And the stripes make it so much fun. What a fun project. I can tell you really enjoyed this project. The result is awesome! 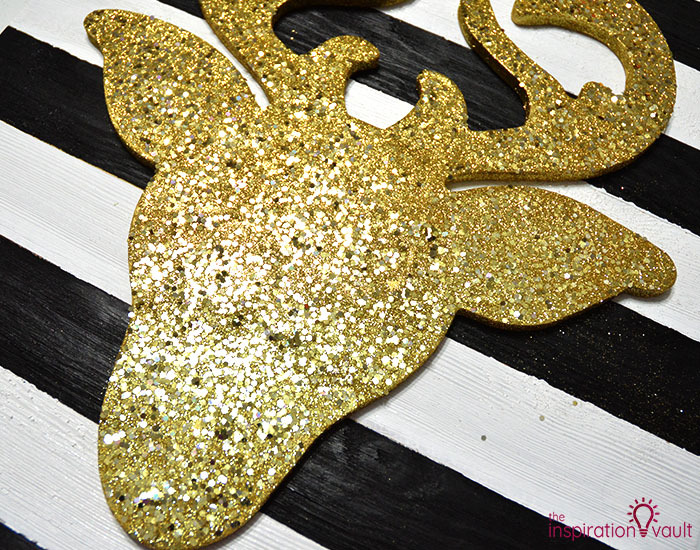 Glam, fun holiday decoration. Love the black and white too. This is just lovely, a great version of the original pin. As requested, I’m not asking how you know how important it is to let the glue really ‘go off’ and set completely!! Love all the sparkles and such an easy to follow tutorial. Thanks for sharing. Pinned. Very pretty! So glittery & shiny! Love it!